Have you ever, because of what you see in the world or as a result of your own experience asked, “How can there be a God?” I have and so has Mauro. If you haven’t, it’s probably either because you’ve never really given much thought to the existence of God or you’re too scared to face the conclusions you might draw from asking such a question. I’ve asked it and so has Mauro. Everybody man has a “Father Wound.” It’s because we’re imperfect fathers. It’s because our fathers and their fathers were imperfect. It’s part of the broken-sinful nature of the world we live in, but the story doesn’t have to end there. Everyone can find a perfect father in God and my prayer is that Mauro’s story helps you comes to terms with God’s perfect nature. Mauro’s story starts with Catholic High School and his relationship with his own father. He had a difficult time and didn’t feel like it was possible for God to be a father, because he was comparing God to how he felt about his relationship with his dad. But then something changed. On November 22, 2013 I had the pleasure of baptizing Mauro at the first ever baptism gathering with Two Cities Church. Interested in a growing relationship with Jesus Christ? We’re interested in leading you into that relationship. We’re interested in baptizing you. 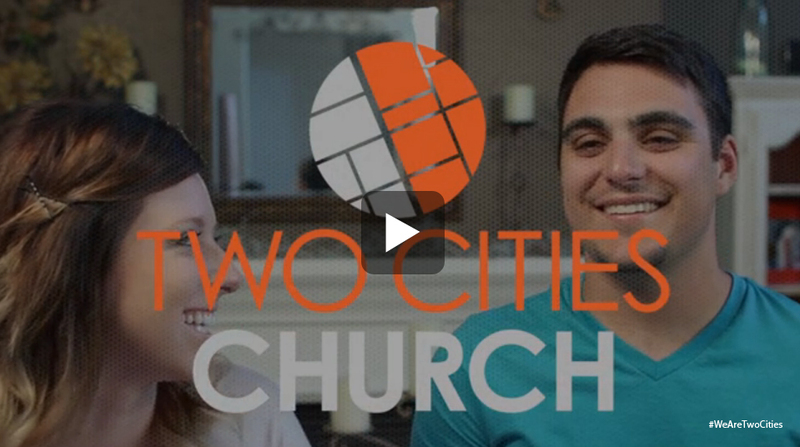 Interested in knowing more about Two Cities Church? You can find us Sunday, February 9, 2014 at 5pm at the Clovis Veterans Memorial District Building in Old Town Clovis. You can also see more about Mauro and Chelsea in this video. Watch Cady Hurtado’s story here. You may also like An Atheist Prayer.